This video continues from our full-length video pilot report on the TL Ultralights TL-3000 Sirius. In this second of two videos we go aloft and let you see for yourself some of the flight characteristics of the high wing entry from the Czech producer. Both videos were shot at the 2013 Midwest LSA Expo, an ideal place for such video pilot reports. For background on this Sirius pilot report, see the similarly titled video "1 of 2." 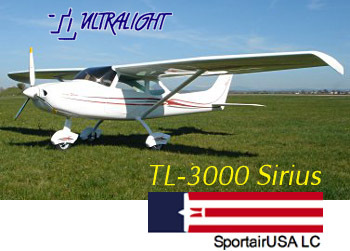 Another in our series of full-length video pilot reports focuses on the TL Ultralights TL-3000 Sirius, represented in America by Sportair USA. We provide background on the airplane in this first of two videos; later we'll take it up for a video in flight session and talk more about flight qualities. 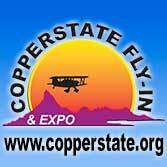 The Midwest LSA Expo is an ideal place for these video pilot reports and we did several of them. For more on this Sirius pilot report, see the similarly titled video "2 of 2." From the one company with both low and high wing all-composite Light-Sport Aircraft comes the new high wing Sirius from American importer SportairUSA. This Arkansas-based company is better known for the low wing Sting but the Sirius is the newest. We take you on a tour of the slick model with SportairUSA's Bill Canino and provide lots of descriptive information. From the one company with both low and high wing all-composite Light-Sport Aircraft comes the new high wing Sirius from American importer SportairUSA. This Arkansas-based company is better known for the low wing Sting but the Sirius is the newest. We take you on a tour of the slick model with SportairUSA’s Bill Canino and provide lots of descriptive information. 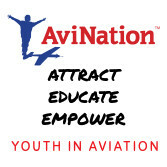 At the Midwest LSA Expo 2010, we started something new using multiple aircraft and offering their differences and similarities. Here we look at five composite high wing LSA: Sirius TL-3000; Jabiru J-230; CTLS; FK-9 Mark IV; and Navigator 600. If you're in the market for a high wing, this video may help show your choices and help you make a purchase decision. At the Midwest LSA Expo 2010, we started something new using multiple aircraft and offering their differences and similarities. Here we look at five composite high wing LSA: Sirius TL-3000; Jabiru J-230; CTLS; FK-9 Mark IV; and Navigator 600. If you’re in the market for a high wing, this video may help show your choices and help you make a purchase decision. At EAA AirVenture Oshkosh 2007, SportairUSA displayed a full-size mockup of the TL-3000. A production prototype is planned for July and production should start later in 2008. 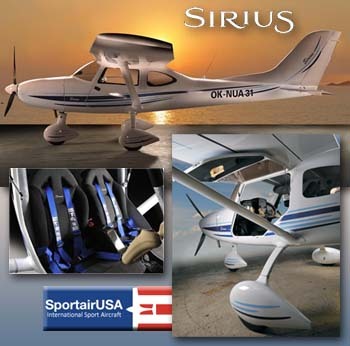 SportairUSA expects an SLSA-certified version to be ready for the USA by the first half of 2009. You might say it's Sirius when TL-3000 takes to the air for the first time. Kidding aside, the new model's U.S. importer is seriously happy about their composite high wing making its initial flight. Czech producer TL-Ultralight makes the sleek low-wing StingSport that SportairUSA has been selling since the first SLSA lifted into American skies. In development since 2006, TL president Jiri Tlusty recently flew the carbon fiber TL-3000 for the first time. *** SportairUSA boss Bill Canino was recently in Czech Republic making arrangements to market the TL-3000 alongside the Sting S3, an advanced generation version of the TL's successful low wing model. The Arkansas-based importer says the 46-inch wide Sirius is powered by the 100-hp Rotax 912S, has a useful load of 600 pounds, and extended range with fuel capacity of more than 30 gallons. *** As with StingSport and Sting S3, TL-3000 will come standard with high-end safety features such as a Galaxy rocket-deployed parachute system, PCAS collision avoidance, and AmSafe 4-point inertial-reel seat belts. Easy entry and plenty of legroom are further benefits, said Sportair. TL-Ultralight reportedly has more than 500 aircraft flying around the world. You might say it’s Sirius when TL-3000 takes to the air for the first time. Kidding aside, the new model’s U.S. importer is seriously happy about their composite high wing making its initial flight. Czech producer TL-Ultralight makes the sleek low-wing StingSport that SportairUSA has been selling since the first SLSA lifted into American skies. In development since 2006, TL president Jiri Tlusty recently flew the carbon fiber TL-3000 for the first time. *** SportairUSA boss Bill Canino was recently in Czech Republic making arrangements to market the TL-3000 alongside the Sting S3, an advanced generation version of the TL’s successful low wing model. The Arkansas-based importer says the 46-inch wide Sirius is powered by the 100-hp Rotax 912S, has a useful load of 600 pounds, and extended range with fuel capacity of more than 30 gallons. *** As with StingSport and Sting S3, TL-3000 will come standard with high-end safety features such as a Galaxy rocket-deployed parachute system, PCAS collision avoidance, and AmSafe 4-point inertial-reel seat belts. Got An LSA Opinion? SportairUSA Wants Your Input. StingSport was the #5 SLSA certified, and the first to promote an airframe emergency parachute as standard equipment (they use Galaxy). 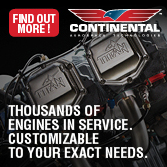 SportairUSA also offers the PCAS collision-avoidance system, full-time carburetor heat, and AmSafe 4-point inertial-reel restraints as additional safety items. The customer is king...even before becoming a customer. StingSport seller SportairUSA has launched an online survey to find out what you think. Will you waste your time? Not if you have an opinion and want someone to listen carefully. You could also pick up $100 in cash for your time and have a chance at a $1,000 bonus prize. *** To offer your thoughts, click here and follow the survey instructions. I did it in 10 minutes. They ask 23 questions, some with multiple responses and a few require you to type some answer. Results could provide valuable info. 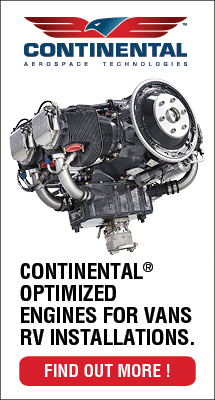 Last year, Flight Design surveyed customers and offered a prize. It's great to see these leading companies working hard to get real opinions. But don't delay. The survey runs only through the end of November. SportairUSA and their research partner promise your answers will remain anonymous and they won't try to sell you anything as a result of your participation. The customer is king…even before becoming a customer. StingSport seller SportairUSA has launched an online survey to find out what you think. Will you waste your time? Not if you have an opinion and want someone to listen carefully. You could also pick up $100 in cash for your time and have a chance at a $1,000 bonus prize. *** To offer your thoughts, click here and follow the survey instructions. I did it in 10 minutes. They ask 23 questions, some with multiple responses and a few require you to type some answer. Results could provide valuable info. 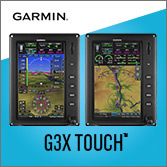 Last year, Flight Design surveyed customers and offered a prize. It’s great to see these leading companies working hard to get real opinions. But don’t delay. The survey runs only through the end of November. SportairUSA and their research partner promise your answers will remain anonymous and they won’t try to sell you anything as a result of your participation. If you can attend AirVenture Oshkosh, come look at the TL 3000 Sirius display in the SportairUSA exhibit in SportairUSA's usual place (booths #6, 7, 13 & 14) immediately south of Cirrus, which is just to your right inside the main entry gate. With events like Sebring and Sun 'n Fun, AirVenture Oshkosh is a grand venue to introduce something new...or something coming soon. The mockup of the Cessna Sport won't be the only new model. SportairUSA has represented the low-wing, all-carbon-fiber StingSport since LSA arrived on the scene and it has earned a spot in the top five list of best sellers. *** At Oshkosh 2007, SportairUSA will preview a "cabin model" of the TL 3000 Sirius. 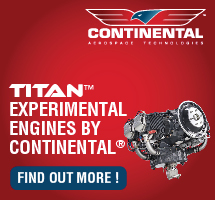 The company says, "Flight testing is expected to be completed in the fall, with aircraft ready for USA delivery in 2008." They elaborate on the sleek high wing saying, "Sirius will be constructed of the same carbon fiber composite materials as the StingSport and powered by the Rotax 912 engine series with a generous, 48-inch-wide cabin and room for golf clubs in the back. Folks who saw the full size mockup at Germany's Aero show were impressed. You can take a further look at this airplane in late development. 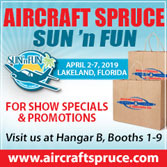 With events like Sebring and Sun ‘n Fun, AirVenture Oshkosh is a grand venue to introduce something new…or something coming soon. The mockup of the Cessna Sport won’t be the only new model. SportairUSA has represented the low-wing, all-carbon-fiber StingSport since LSA arrived on the scene and it has earned a spot in the top five list of best sellers. *** At Oshkosh 2007, SportairUSA will preview a “cabin model” of the TL 3000 Sirius. 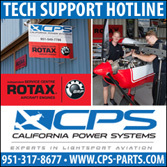 The company says, “Flight testing is expected to be completed in the fall, with aircraft ready for USA delivery in 2008.” They elaborate on the sleek high wing saying, “Sirius will be constructed of the same carbon fiber composite materials as the StingSport and powered by the Rotax 912 engine series with a generous, 48-inch-wide cabin and room for golf clubs in the back. Folks who saw the full size mockup at Germany’s Aero show were impressed. The fourth best selling LSA model is the StingSport sold in America through SportairUSA. Early next year, the TL-3000 Sirius should start arriving in the U.S. At the German Aero show, the Czech producer debuted this new high wing LSA. 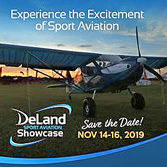 Talk about your transatlantic jet set...a number of exhibitors attended the first few days of Sun 'n Fun and then blasted off for the south of Germany, to Aero -- an every-other-year airshow that has become a focus for light-sport airplanes. EAA Sport Pilot editor, Mary Jones posted news including, "To the delight of most European manufacturers, Alain Leroy, who heads certification in the safety branch of [European authority] EASA, committed to the release of a notice of proposed amendment (similar to a U.S. NPRM) by June of 2007 that would outline rules under which a new light-sport aircraft category might operate." Leroy had said earlier at Aero that EASA was also looking to the ASTM standards as the certification method for a European LSA. 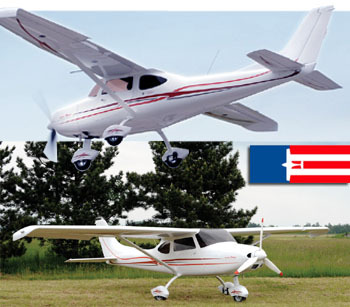 *** A major aircraft announcement was the new high wing design from TL Ultralight, manufacturer of the StingSport sold by SportairUSA. TL introduced their TL-3000 Sirius adding that they hoped to start production by January 2008. 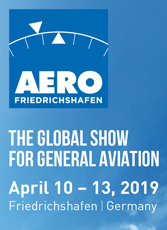 Talk about your transatlantic jet set…a number of exhibitors attended the first few days of Sun ‘n Fun and then blasted off for the south of Germany, to Aero — an every-other-year airshow that has become a focus for light-sport airplanes. 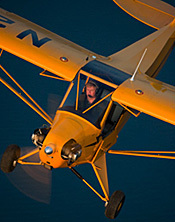 EAA Sport Pilot editor, Mary Jones posted news including, “To the delight of most European manufacturers, Alain Leroy, who heads certification in the safety branch of [European authority] EASA, committed to the release of a notice of proposed amendment (similar to a U.S. NPRM) by June of 2007 that would outline rules under which a new light-sport aircraft category might operate.” Leroy had said earlier at Aero that EASA was also looking to the ASTM standards as the certification method for a European LSA. 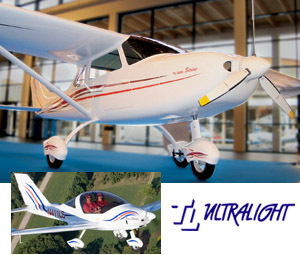 *** A major aircraft announcement was the new high wing design from TL Ultralight, manufacturer of the StingSport sold by SportairUSA.